For the first time ever, a flower has bloomed in space, aboard the International Space Station. 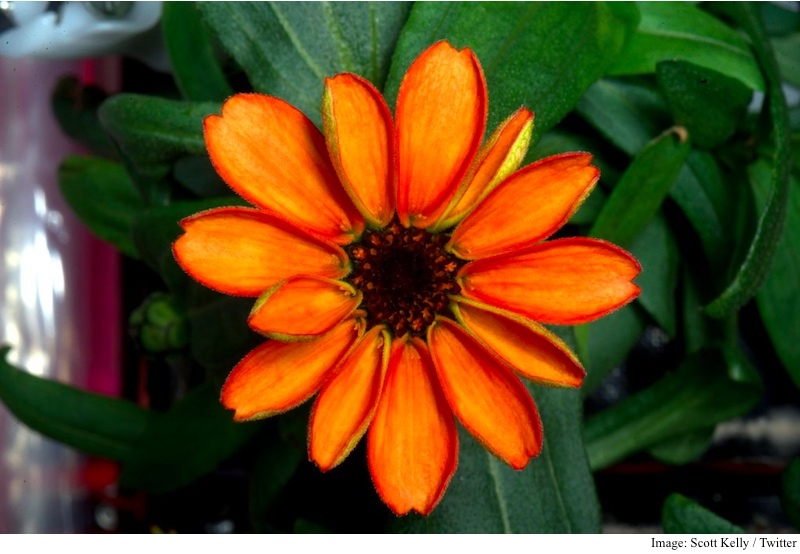 This brings cosmic explorers one step closer to growing other flowering plants in space, like tomatoes, which NASA says it hopes to do in 2018.zinnia plant had flowered on the International Space Station (ISS). Scot Kelly, an American astronaut, engaged in the space work since March 2015 who also doubled up as a resident gardener shared on Twitter how successful he was in making a brightly hued Zinnia bloom.